After living in Edinburgh for 4 years, I can safely say (without a shadow of a doubt) that the city is amazing! 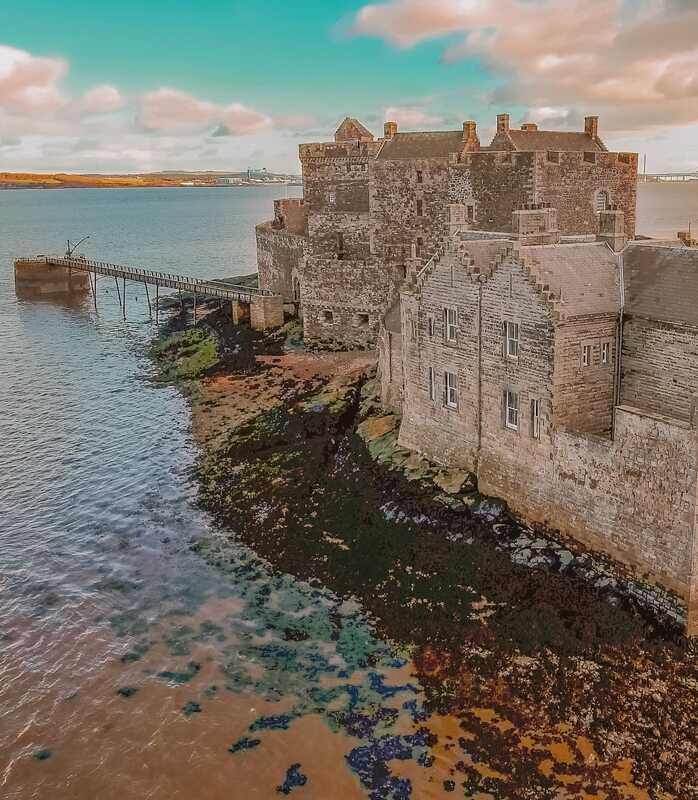 It’s one of those places that has so much going on, so many places to see, a huge swash of history to explore and some incredible things to do in Edinburgh. 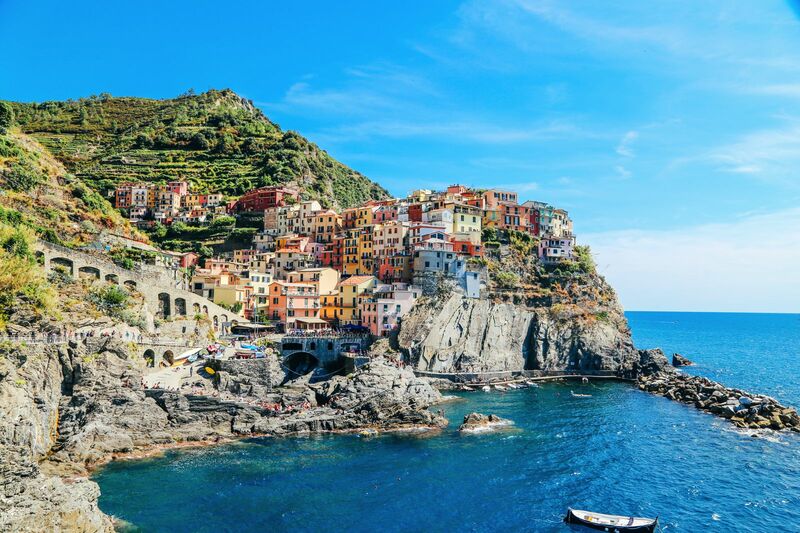 It really is a great place to visit, or live for that matter! 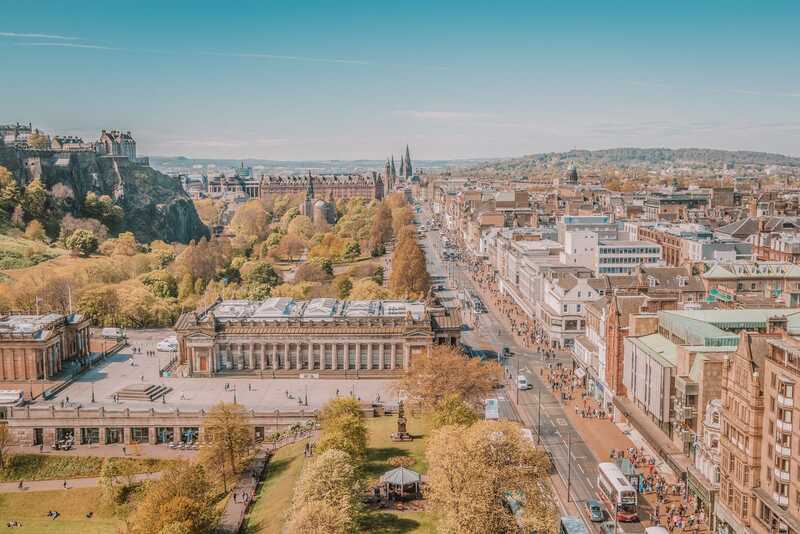 Anyway, I’m rambling as per usual but I wanted to share some of the very best things to do in Edinburgh on your first-time visit. I’m almost certain you’ll love the city and all its history. Arthur’s Seat was (and still is) one of best places for views over Edinburgh and its surrounding areas. 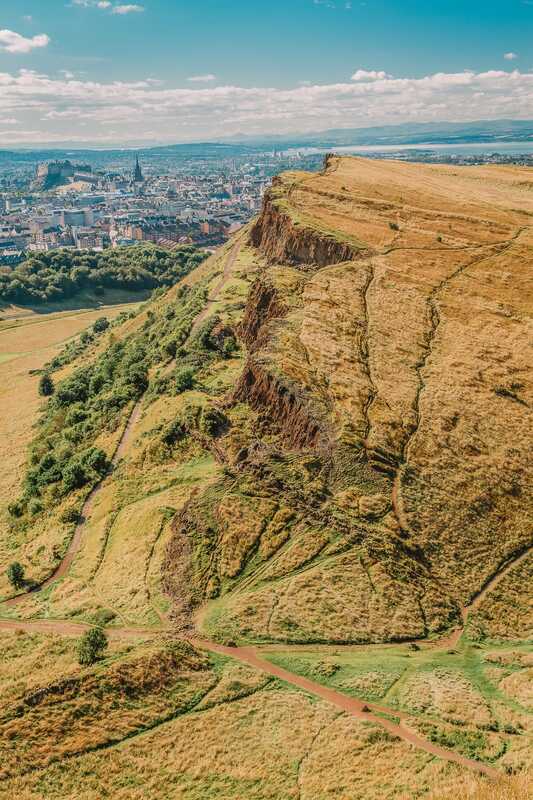 Something that totally surprised me was that Arthur’s Seat actually forms the largest part of the massive (extinct) volcano that once stood in Edinburgh (with the other parts being Castle Rock and Calton Hill). 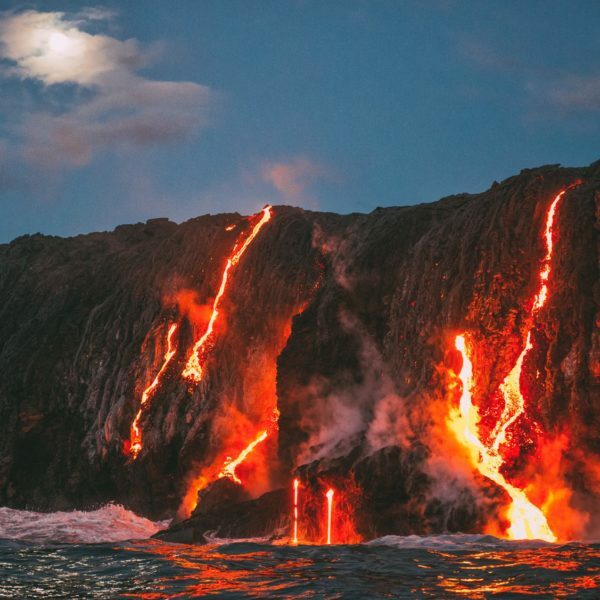 Thankfully, the Volcano has since long gone but the impressive mound still exists. 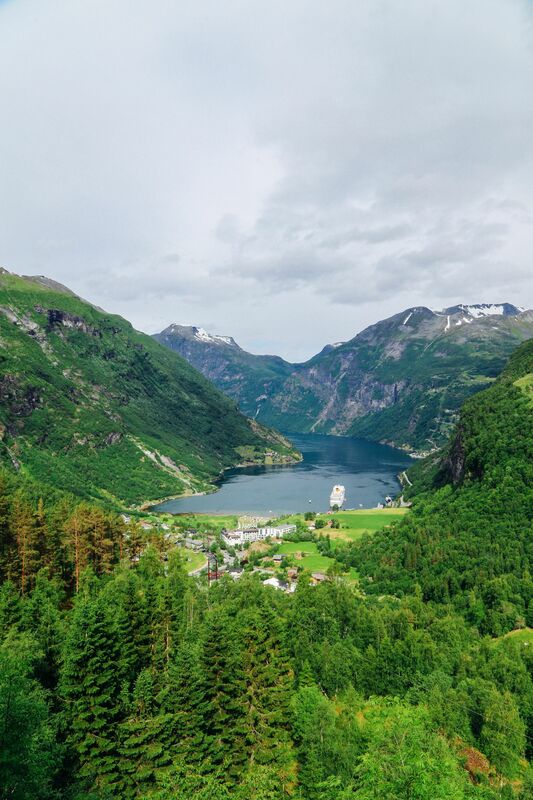 The hike up will take around 30-minutes (or less) and is relatively easy. Just make sure to take a coat on windy days, it can get quite blustery. 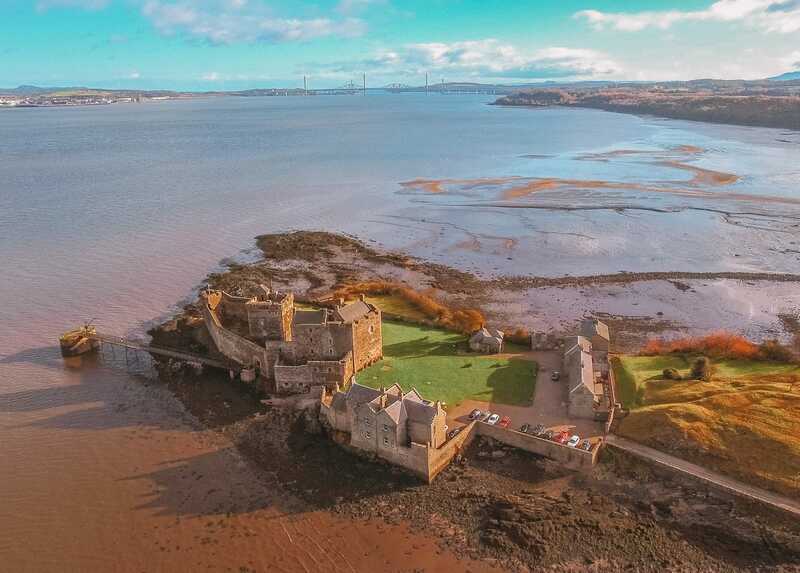 Blackness Castle is perched on the Firth of Forth and dates way back to the 15th Century (when Edinburgh was a very different place). The castle itself is about 35 minutes from the centre of the city, so make sure you plan your day ahead and try to miss those rush-hour times (about 4-6 pm). Once you’re here, make sure you climb the towers for some pretty impressive views across the region. Tickets cost around £6 and it’s open every day from 9:30 am to 5:30 pm. Quite different from the New Town (around George Street) you can expect lots of cobbled streets, historic houses and picturesque little squares. 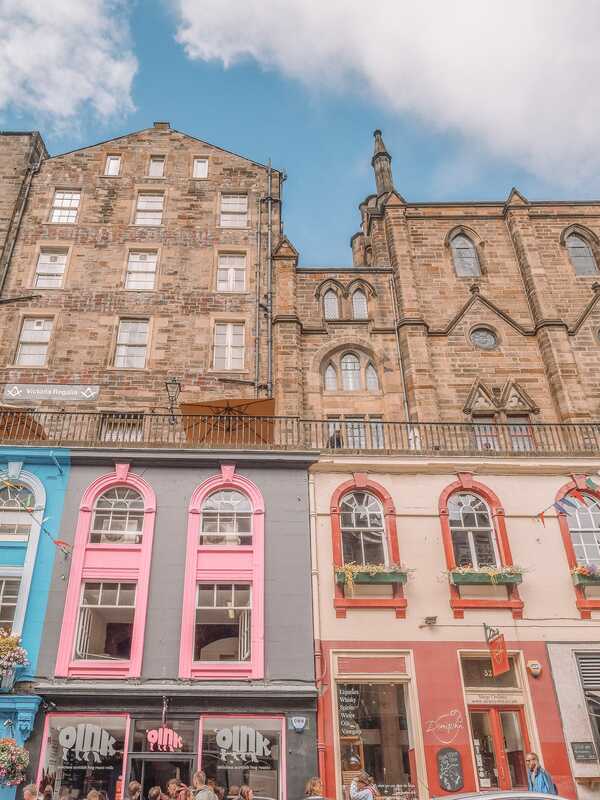 Make sure to stroll down Victoria Street (from the Royal Mile down to GrassMarket) and visit some of the local boutiques and tasty restaurants. My favourite is still the Witchery (just on the Royal Mile) that creates some of the best meals from local Scottish ingredients. Oh, also, don’t forget to keep your eyes peeled for the statue of Greyfriars Bobby (that sits on the corner of Candlemaker’s Row and George IV Bridge) that lived in the 19th Century. It’s said that the little terrier guarded the grave of his owner for 14 years. It really is one of the best things to do in Edinburgh if you want to explore some local history. 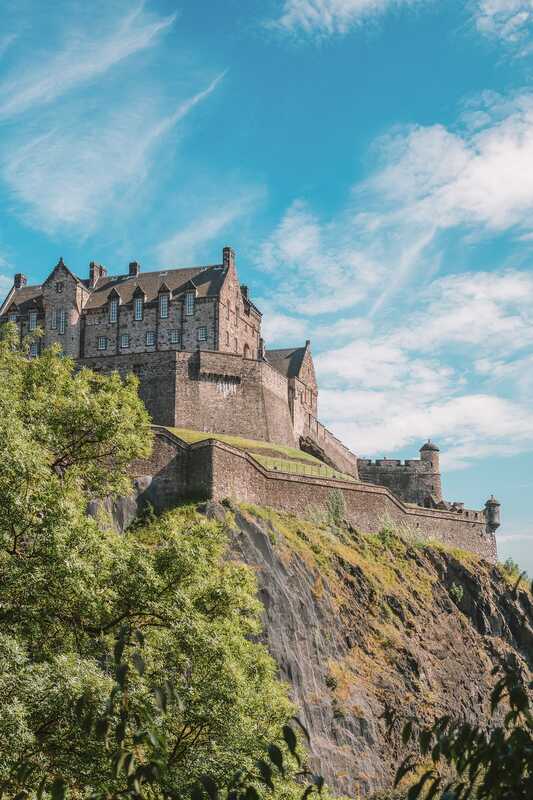 The castle is easily one of the best things to do in Edinburgh and possibly one of the most famous castles in Scotland. Sitting on top of that extinct volcano (I mentioned with Arthur’s Seat), it’s an impressive sight to see at any time of the year. 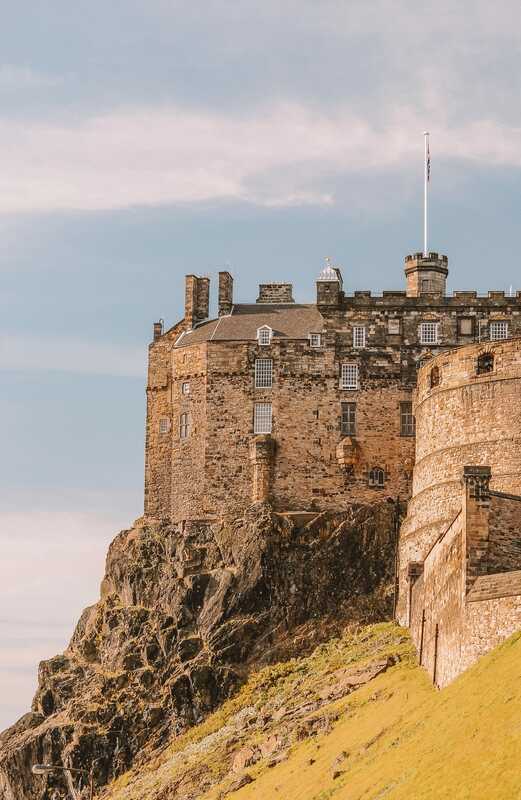 Don’t forget to listen out for the one o’clock cannon that is fired every day (except Sunday) from Edinburgh Castle itself. 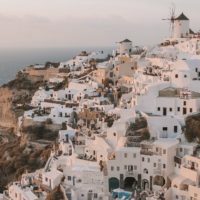 It’s a tradition that goes way back to the 19th Century whereby maritime captains would set their clocks to navigate the oceans. If you don’t fancy walking all the way up to Arthur’s Seat, pop up Calton Hill that’s pretty close to the Balmoral Hotel. It’s one of the best spots for a view across the city, especially at sunset. It really is a lovely place to just sit back and enjoy the views. The Georgian House Museum is a reconstruction of how Edinburgh’s wealthy lived during the 18th and early 19th centuries in the new part of town. 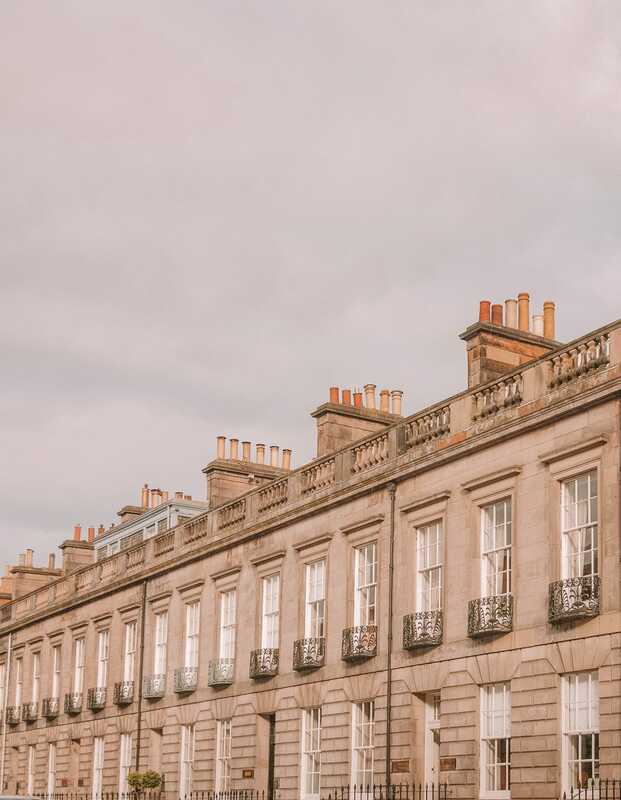 Housing collections of furniture from that period; you can see porcelain, silver, art and do not forget to look above at the chandeliers which will give you a glimpse as to how affluent residents of Edinburgh once lived. Oh yeah… and just next door at Number 6, Charlotte Square is the official residence of the First Minister for Scotland. 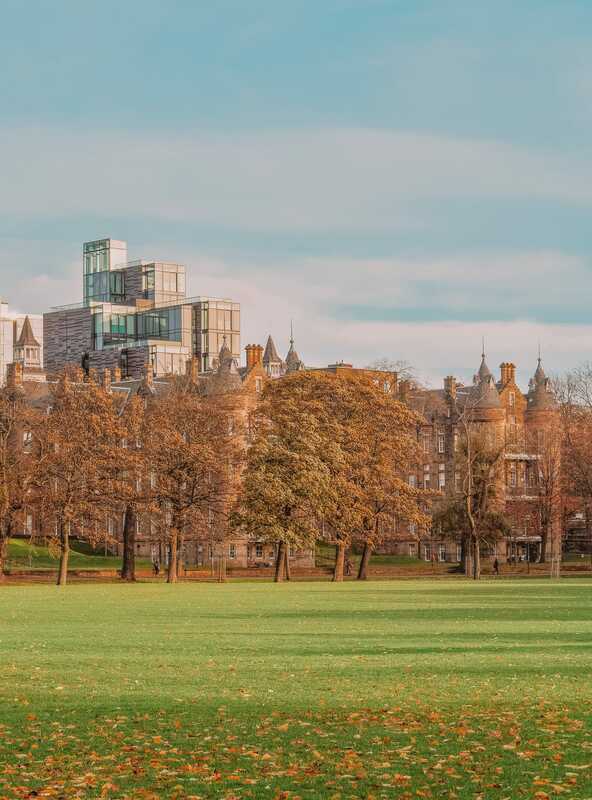 Having a picnic (usually on a lazy sunny Sunday) on the Meadows is possibly one of the nicest things to do in Edinburgh if you’re wanting to chill out and relax a little. Pretty close to the University buildings, you’ll find lots of groups just chilling. It’s also a handy shortcut as it connects the city centre to the Southside suburbs, too. 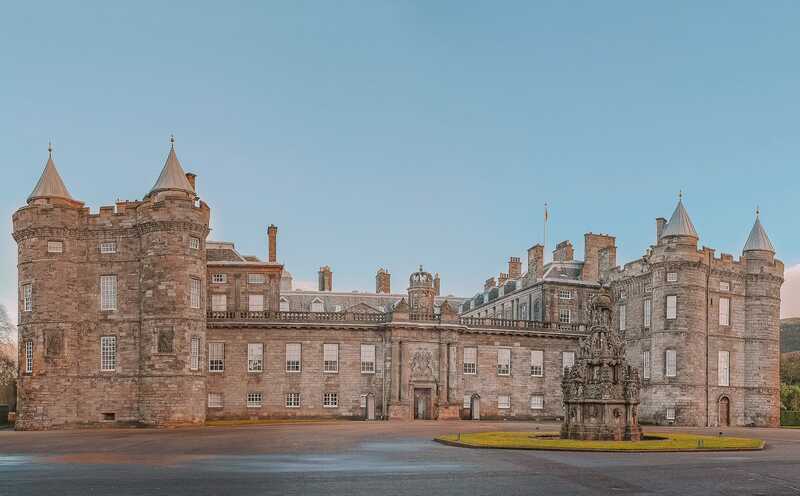 Holyrood Palace is the official home to the Queen whilst in Scotland and her palace of choice when visiting Edinburgh. 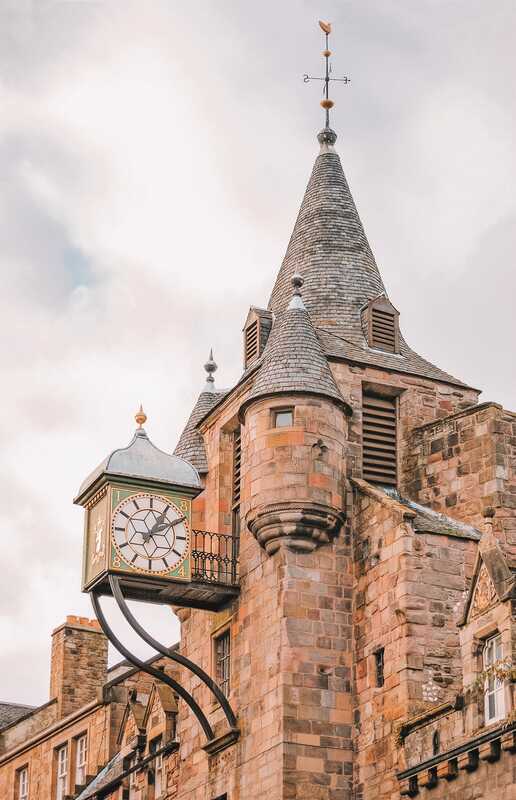 Perched just across from the Scottish Parliament, it’s a great place to explore and see a little slice of royal life whilst in the city. Make sure to visit the chambers of Mary Queen of Scots’, too. She once lived in the palace between the years of 1561-1567. 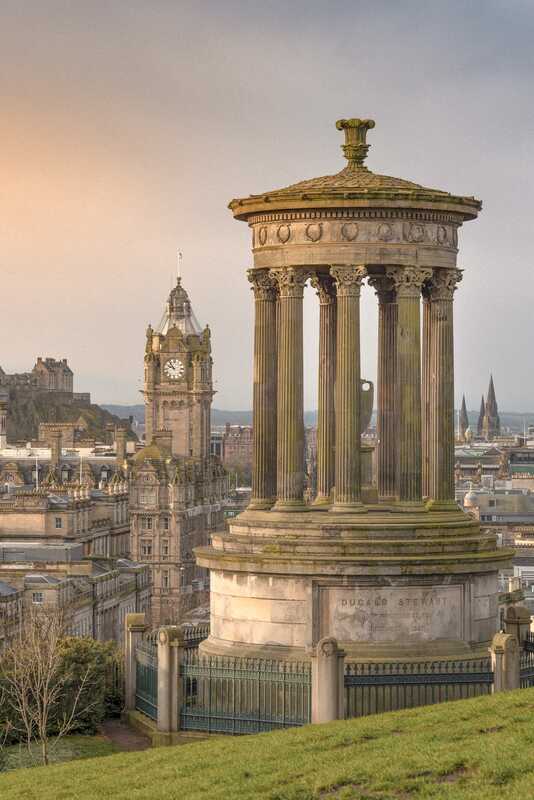 The Edinburgh Festival Theatre is located right in the heart of Edinburgh. The original building was opened way back in the 19th Century and is now the home to the Scottish Ballet and Scottish Opera. 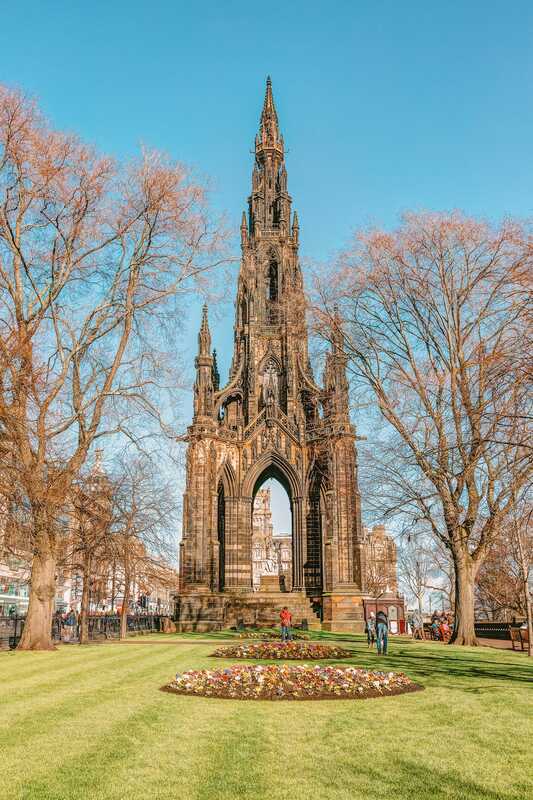 The Scott Monument is one of the most impressive monuments and one of the best things to do in Edinburgh for a unique perspective overlooking the castle. Just remember, the staircase is pretty narrow, so you might wanna give this a miss if you get claustrophobic. 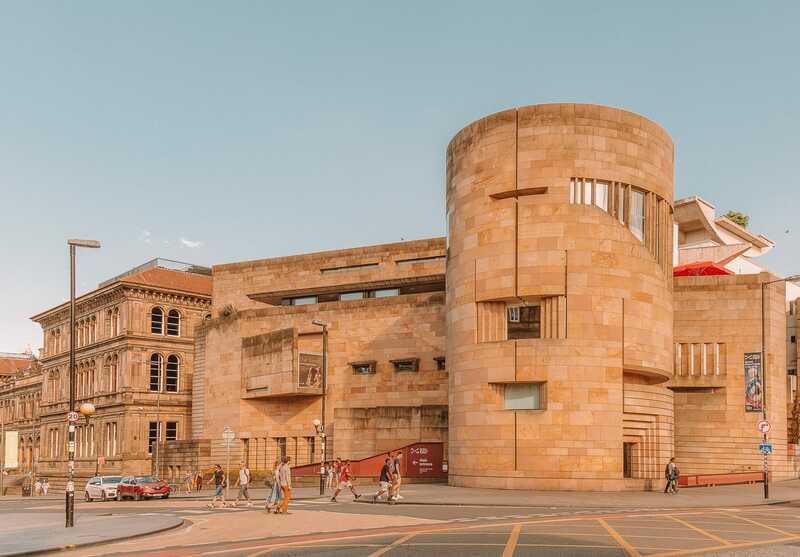 The Scottish National Gallery is a Greek-columned complex in the city centre on Princes Street and one of the best things to do in Edinburgh if you’re an art lover. Make sure to pop in the Artist Rooms, see the Scottish Art and the surrealist collection they have inside. 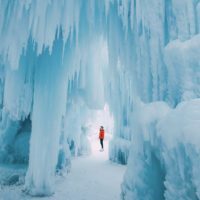 Plus, It’s the perfect spot to visit if the weather takes a turn for the worse. 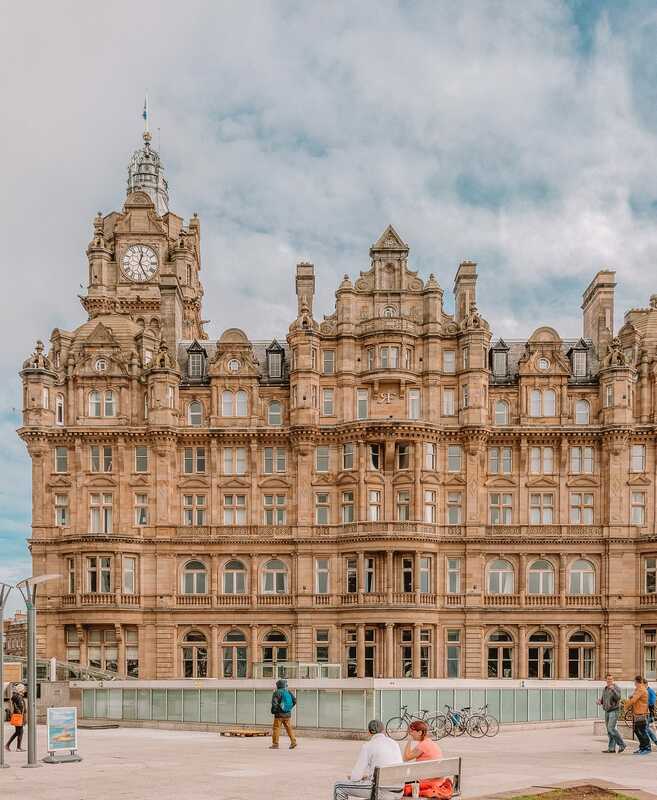 Located in the heart of Edinburgh, the Balmoral Hotel is possibly one of the cities most famous hotels. With its impressive clock in its entrance that runs (five minutes early to assist commuters in catching their train). It’s a great spot to stay if you’re looking for a bit of luxury. Oh, and they have a gorgeous spa, too. 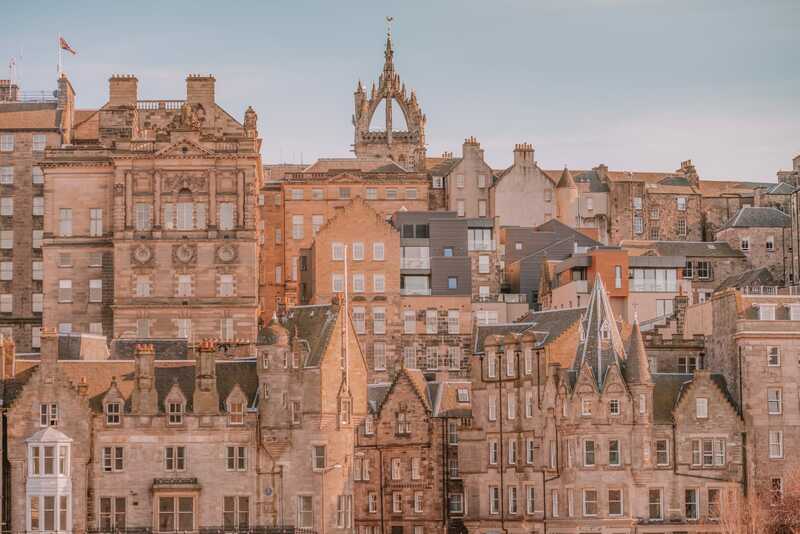 If you’re looking for some other gorgeous places to stay whilst exploring all the things to do in Edinburgh, make sure to check out some of the city’s really cool hotels and spots, too. So, one of my favourite past times to do in Edinburgh is to walk the length of the Royal Mile. Stretching all the way from Edinburgh Castle to Holyrood Palace, the walk itself will take around 15-minutes (depending on your pace). 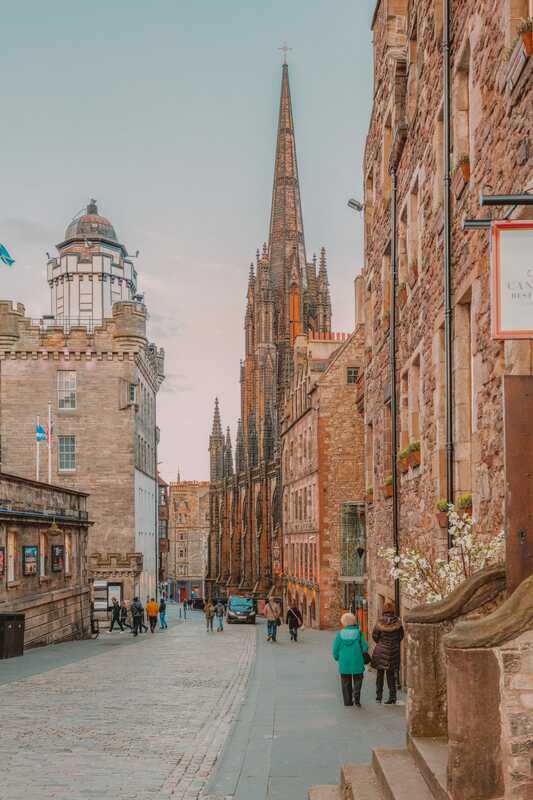 It’s a great way to see some of the oldest buildings in Edinburgh, but also to get a sense of how historic this city is. 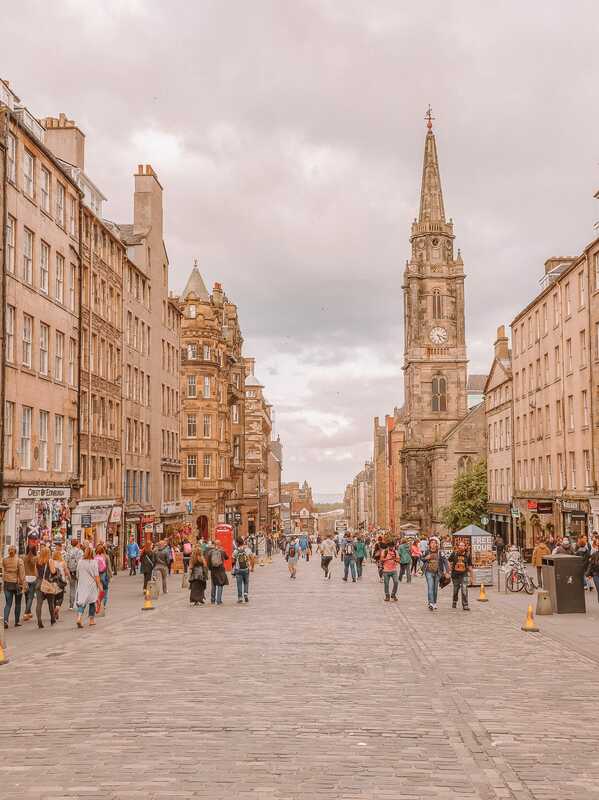 Also, if you’re visiting in Summer, make sure to plan it around the Edinburgh Fringe Festival that literally swells the number of people in the city by 3 times! 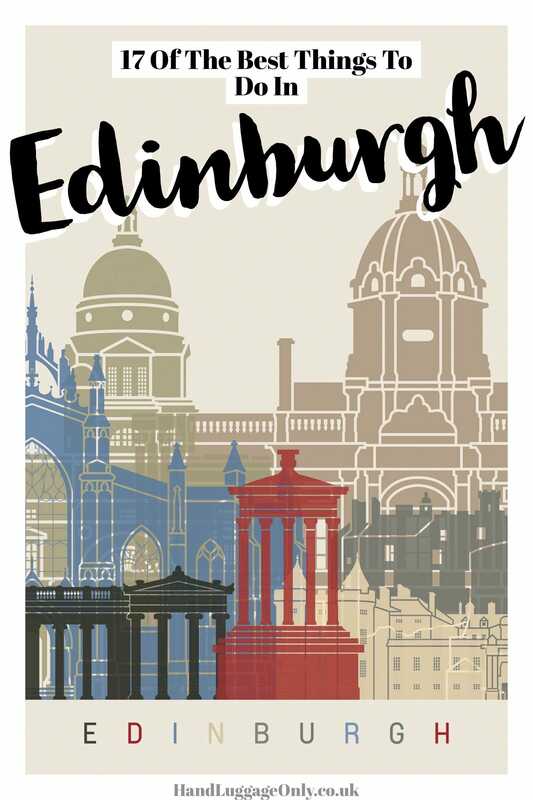 It’s such a great time to visit, with hundreds of shows, exhibitions dotted all across Edinburgh. in the late 80’s and 90’s, Leith wasn’t really a neighbourhood in Edinburgh you’d want to explore. Thankfully, this has all changed, with its waterfront setting a great place to spend a Friday evening of drinks and supper. 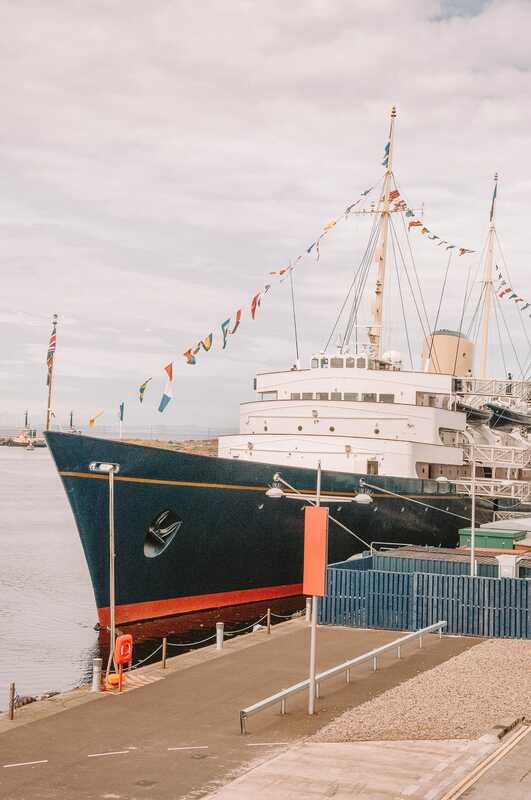 Best yet, the Queen’s boat, The Royal Yacht Britannia is actually moored in Leith (at Ocean Terminal) and you can hop on board and have a good nosey around. You can even stop off for tea on the Royal Deck! 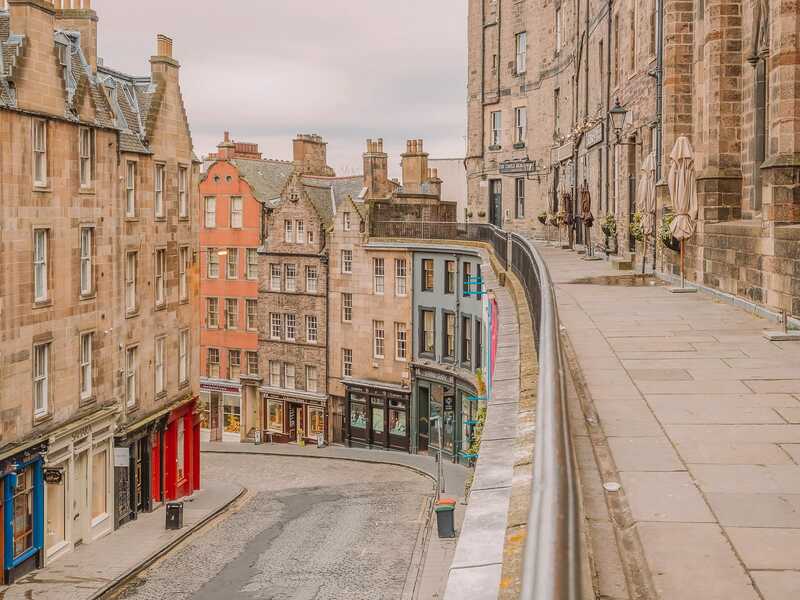 The Real Mary King’s Close is one of most surreal things to do in Edinburgh, especially as it’s all hidden under the streets off the Royal Mile. Based in the Old Town, the Real Mary King’s hidden system of streets and spaces that were built over hundreds of years ago. Over the last 15 years, these have now been opened to the public and you can go into the streets with a designated guide. It really is quite eerie but totally cool. For me, one of the things that makes the Edinburgh Camera Obscura so special is the unparalleled views it offers down the Royal Mile. It’s one of the best things to do in Edinburgh if you’re planning on visiting with younger children. Particularly, as there are lots to keep them entertained with optical illusions and mirrors that can keep spirits high. The National Museum is probably one of my favourite things to do in Edinburgh… I can literally visit time and time again! 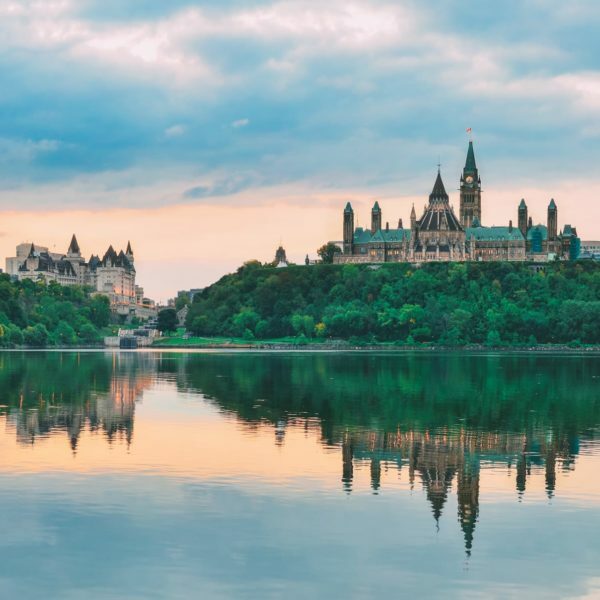 Once you’re here, make sure to explore the natural history section (with loads of dinosaurs and meteorites), see the iconic Grand Gallery and explore the World Cultures Gallery. 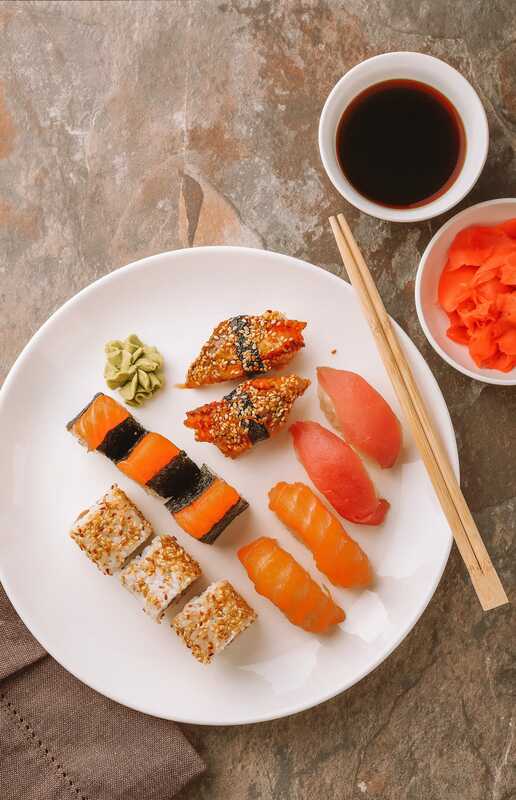 You’ll love it.